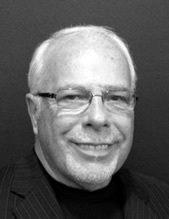 Randy has over 40 years of experience as a stylist, manager and multiple salon owner. Randy, along with his wife Sharon, founded KRS Consulting Group in 1993 to focus on issues related specifically to salon management and ownership. Randy is stockholder and board member of Summit Salon Business Center leading a team of over 50 consultants along the front lines of innovative salon training and development. Hundreds of salons, spas and cosmetology schools have experienced utterly astounding improvement in sales, profits and teamwork thanks to Randy’s guidance. They are a testament to his expertise and desire to help others succeed. From complex ownership issues to the front desk, Randy has not only seen it all, he’s helped others overcome it all.